The MST Boy’s Latin Shoe continues to be a popular shoe in our Children’s Ballroom range here at Duo Dance London. 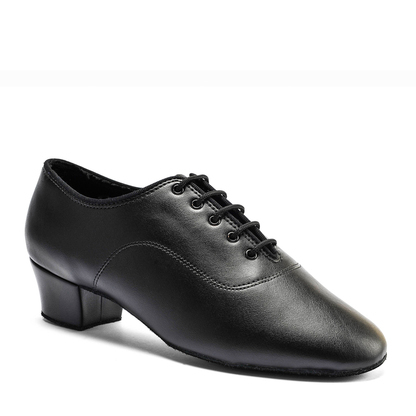 A traditionally styled Latin dance shoe finished in soft black leather, perfect for Dance Performances and Competitions and is suitable for all styles of Latin dance. 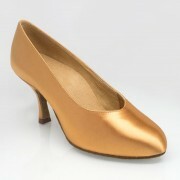 A great shoe for Beginners to Latin and Ballroom Dance at a very competitive price. 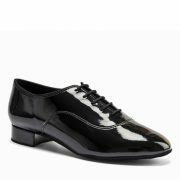 The MST Boy’s Latin Shoe is a classic, traditional Latin dance shoe finished in soft Black Leather. A lace up shoe with a 1.5″ Latin Heel. It is available in a regular fit and in UK Sizes 1 – 5 NOT including half sizes. Please note that there is no added TAX on children’s shoes and sizes. Suitable for all styles Latin Dance.